Egypt’s ambassador to Britain has blasted Prime Minister Theresa May for failing to resume commercial flights to Sharm el-Sheikh which were suspended over a year ago after the Russian Metrojet disaster that left 217 passengers and seven crew members dead. Nasser Kamel said all other EU countries have resumed flights to the popular tourist destination in the Sinai Peninsula, adding that it was “mind boggling” that Britain has still not authorized air links. 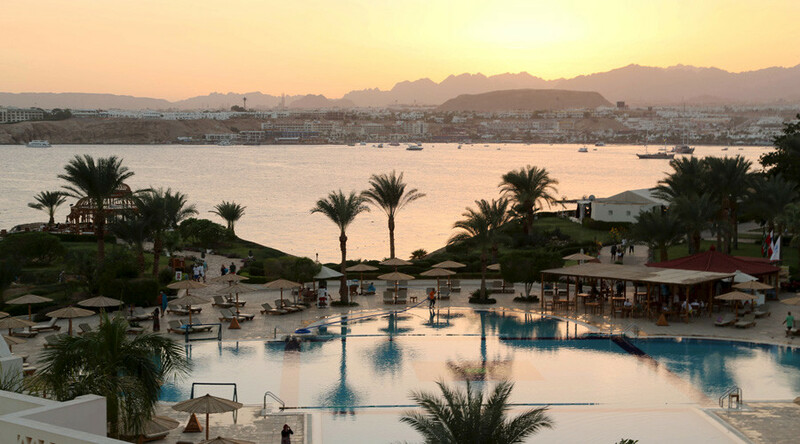 Tourism in the Red Sea beach resort was hit hard following a suspected terrorist attack on a Russian plane last October and the subsequent flight bans imposed by several countries. However, the Egyptian government insists that millions of dollars have since been invested to boost the airport’s security, as well as that of the resort itself. “Egypt has done its share. We have implemented the program; we have brought independent security firms to assess the situation. All EU countries have resumed flights to Egypt – including Germany, which does not take the security of its citizens lightly – and the only EU country which is not flying to Sharm el-Sheikh is the UK,” Kamel told BBC Radio 4 on Friday. When asked what was stopping the British government from green lighting flights, he replied: “It’s mind-boggling to be honest. “When I talk to the Department for Transport or Home Office or Foreign Office, they are all for the resumption, so I think the decision is stuck somewhere higher. I think you should be asking that question to the Prime Minister,” he said. Egypt has implemented a “robust” action plan agreed upon by Cairo and London, Egypt’s ambassador to Britain said. “The Department for Transport experts have been giving us the thumbs-up for the way we have implemented it. We have contracted independent security consultants from the UK to look at what we have done and they told us that things are A-OK,” he insisted. Kamel added that other European countries have decided to resume flights based on the improved security. “The whole set of countries, including Germany, who have done their own independent assessment have decided to resume flights based on the fact that Sharm el-Sheikh is not only safe, but is being seen as an example of an airport that has improved over a very short time and become one of the leading airports in the world in terms of security,” he said. Nevertheless, a spokesperson for the UK’s Department of Transport said: “The security of British nationals is our top priority, and we took the decision to suspend flights from Sharm el-Sheikh in November last year in the aftermath of the Metrojet crash to protect the travelling public.